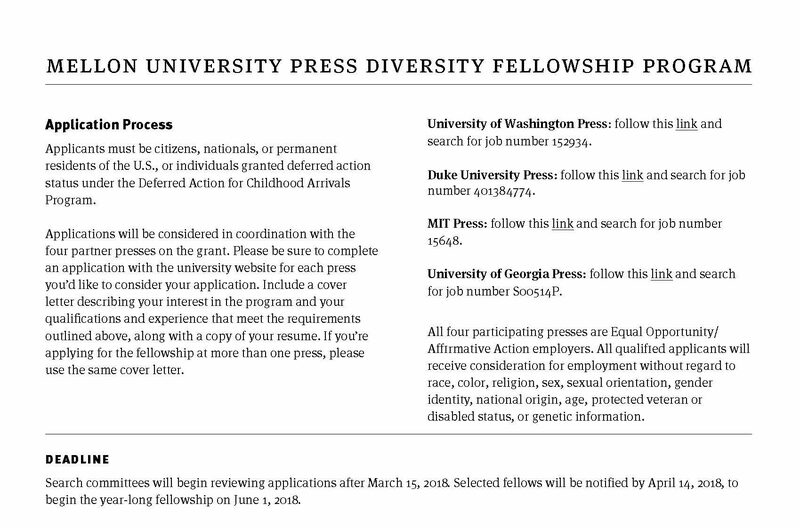 The University of Washington Press (job number 152934), Duke University Press (Careers), MIT Press (job number 15648), and the University of Georgia Press (job number S00514P) are now accepting applications for the 2018–2019 Mellon University Press Diversity Fellowship Program. 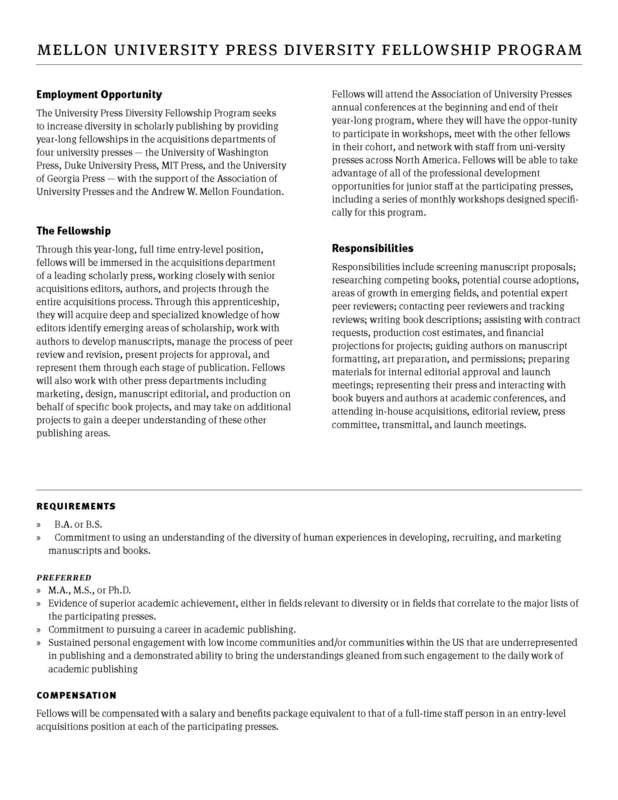 The program seeks to increase diversity in scholarly publishing by providing year-long fellowships in the acquisitions departments of the four university presses with the support of the Association of University Presses and the Andrew W. Mellon Foundation. Search committees will begin reviewing applications after March 15, 2018. Selected fellows will be notified by April 14, 2018, to begin the year-long fellowship on June 1, 2018. This entry was posted in News, UW Press News and tagged academic publishing, Association of University Presses, AUPresses, Mellon Fellowship, Mellon University Press Diversity Fellowship, publishing, scholarly publishing, university presses on February 16, 2018 by uwpressblog.